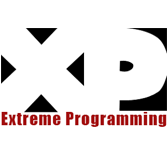 What do you understand by the term Extreme Programming? A software development methodology which is used for improving the quality and responsiveness of the software in accordance with changing customer requirements is Extreme programming (XP). In order to improve the productivity and introduce the checkpoints for adopting new customer requirements, the agile software development used in Extreme Programming. Who are the audience for learning the concept of Extreme Programming? To address the specific needs of the software development of the small teams in the pace of changing environments, extreme programming is developed. For smaller teams with 12 –1 6 developers, extreme programming is effective. A software is developed in an efficient, low-risk, predictable, scientific manner by extreme programming. What are the prerequisites required for learning Extreme Programming? Good knowledge and understanding of the concepts of Agile methodologies and Scrum is required for learning the concept of Extreme programming.